In this week’s gubernatorial debate, Stacey Abrams, the Democratic candidate to be Georgia’s governor, tried to defend her $200,000 tax, credit card, and student loan debt. 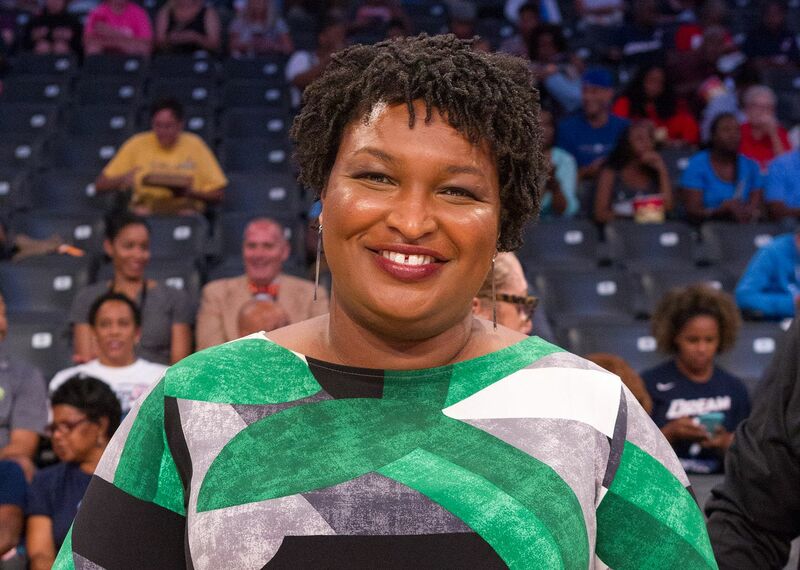 While one sympathizes with some of the circumstances that contributed to her debt, Abrams does women and people of color no good by perpetuating a victim mindset, blaming race and gender discrimination for her financial woes, while downplaying the impact of her personal and financial choices. Abrams’ comments harkened a Fortune essay earlier this year in which she explained how she accumulated so much debt. She became breadwinner and caregiver for sick parents and an underaged relative. While a high-paying law firm job after law school helped ease some of her financial burdens, she was still living paycheck-to-paycheck. That’s not a unique situation. Abrams could have discussed overcoming her own poor financial choices and financial mismanagement amid the challenges life threw at her. Instead, she shifted responsibility for her debt to how “race and gender play a major role in determining just how big of a financial disadvantage we’re likely to face.” In her eyes, she was set up to fail from the start because she’s a black woman. That’s a pessimistic and false assumption about life. Race and gender are not determinants of success. Abrams is not the first black woman from humble roots in the South to succeed – just look at Condoleezza Rice, Oprah, or the host of self-made millionaires supporting Abrams like Monica, Kandi Burruss, Tiffany Haddish, Kelly Rowland, and Keri Hilson. These women, who have cultivated careers in music and acting and built million-dollar businesses, overcame obstacles to achieve wealth and status their ancestors only dreamed of. They figured out how to turn their talents, skills, and networks into opportunity. Blacks do not have to be singers and actresses to earn a good living. The black unemployment rate has fallen to a 6 percent (the second-lowest level in recorded history) and earnings for blacks are at their highest level in almost two decades. However, until economic mobility is more widespread in the black community, the wealth gap between blacks and whites will only continue to widen, which will create a challenge for people in those communities. That’s why it’s so important that we create opportunities that help people succeed. We need higher educational options that don’t break the bank, skills-training that prepares people for careers, and jobs at every level so people can earn more and create long-term wealth. When only 75 percent of black ninth-graders graduate high school in four years compared to 88 percent of white students and 90 percent of Asian students, young blacks are already on a slower path to success. But education works. As black women gain higher levels of education, their unemployment drops significantly more than women of other races. Obtaining a job is also important, but the type of work matters too. Black workers are underrepresented in high-paying STEM fields, while they comprise about one-in-five degree holders in human services, community organizing, and social work, earning a median salary of about $40,000. Black women specifically are drawn to healthcare, human services, and education. Conversely, black workers are over-represented in low-wage jobs such as retail, food service or preparation, building maintenance, and office work. Black women are less likely than white women to work in the highest-paying occupations for women: management, professional, and related occupations. Reskilling and retraining workers to obtain positions in higher-paying fields as well as exposing younger and future workers to better-paying opportunities arms them with the knowledge to pursue those careers. We should not disparage those who choose to care for the educational, physical, and emotional needs of families and communities, but be honest about the trade-offs of fulfillment for money. Speaking of pay, let’s bulldoze another of Abrams’s incorrect assumptions. Gender does not automatically erode earning power. Abrams regurgitated the oft-cited gender wage gap, which she says expands from 20 percent for women to 40 percent for black women. However, according to the Bureau of Labor Statistics, many factors determine the difference in wages between men and women: hours workers, jobs, industries, educational attainment, and time out of the workforce. When controlling for these factors, especially hours worked, the gender wage gap shrinks to a few cents. Abrams may fancy herself a victim for being black and female, but her identity is not an excuse for her own admitted poor choices. Life happens, but a leader in politics and life takes a situation and makes the best of it. If Abrams wants to be a leader for her state, she should focus on empowering all citizens with the knowledge to make quality decisions about their careers and their families.